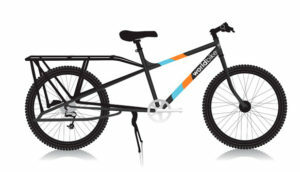 Worldbike supports the design and distribution of low-cost bicycles for programs that increase economic opportunity, improve health outcomes and boost enrollment and gender equity in secondary school among the rural poor. 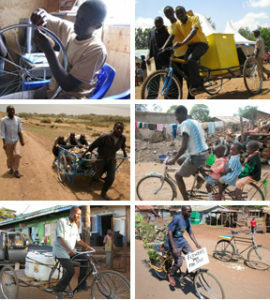 Bikes in these projects withstand large loads, rough terrain and inclement weather and are configured to be not only affordable, but also maintained and repaired locally. 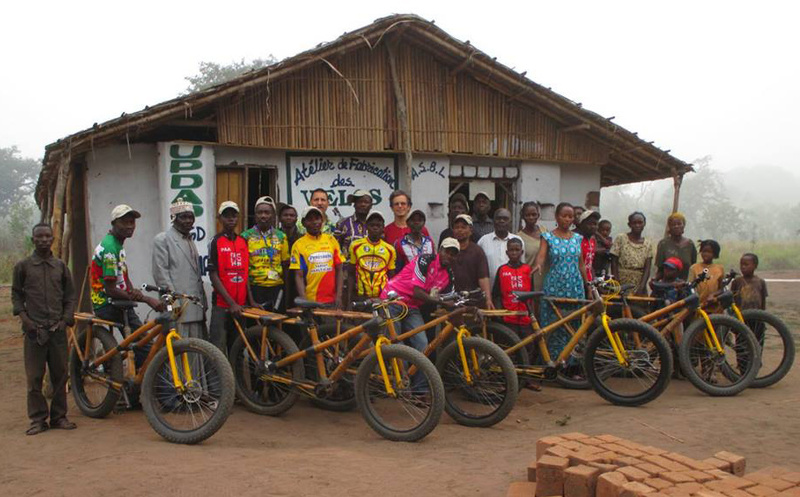 Through partnership with international and local agencies, private companies, foundations and NGOs, Worldbike helps arrange microcredit financing for bike purchases and supplement sales with support from funders and private donors. 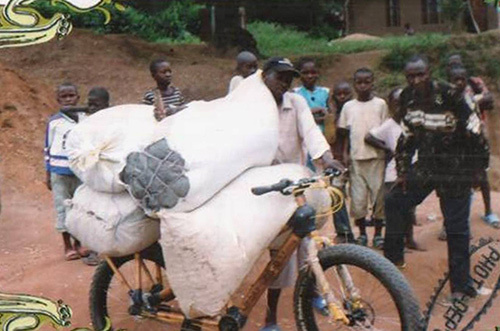 Worldbike supports The Congo Transport to Market Bicycle Project in the Democratic Republic of the Congo. The longtail, fat tire, locally made, bamboo cargo bikes fit right into the culture and the sandy terrain. 500 kilos of farm produce are pushed by two people to the market town – often a 2 day trip. After delivering this load, the two “porteurs” ride the bike back. 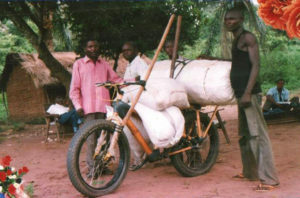 They carry twice as much cargo and make the round trip in 2/3 the time compared to imported bikes that break down often.